The Civil Aviation Safety Authority (CASA) is calling for drone operators to weigh in on new regulation proposals, which cover registration and fees. Registration and accreditation will apply to both sub-2kg commercial operators and recreational drone users. While Inside Imaging recently reported on CASA’s new drone regulation for recreational purposes, the authority has since released a detailed paper. The proposal comes after years of government and public consultations, and has been guided by a Technical Working Group (TSG) – drone and aviation industry experts as well as folks from DJI. Under the new regulation system operators will need to complete a free online accreditation course, described as a video which concludes with a quiz. Registration will require operators to provide contact details, electronic identification for interaction and recognition with air traffic systems, and a serial number or other physical ‘human-readable’ identification number. CASA says there’s a possibility to work with drone manufacturers, like DJI, to directly obtain serial and ID numbers. CASA will charge an annual fee for drone registration, between $100 and $160 for commercial operators and $20 for recreational users. 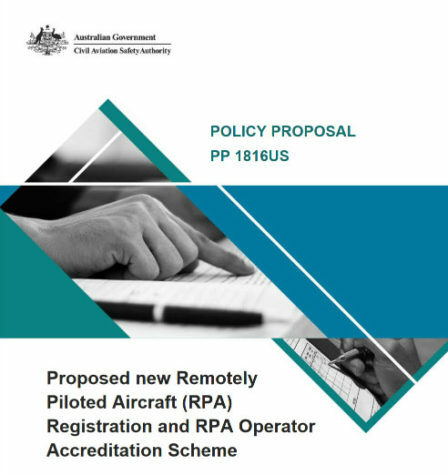 The booming remotely piloted aviation (drone) sector is proving expensive for CASA to administer, and the fee is an attempt to re-balance funding. Money primarily comes from government tax payer revenue, a portion of aviation fuel levy, and fees and charges. CASA reasons that the aviation fuel levy should be injected back into the conventional piloted aircraft sector, rather than an area where aviation fuel is barely used. CASA has been advised by the TSG to waive the first round of registration fees, as was done by the US Federal Aviation Authority (FAA) to encourage early uptake. Although the FAA only charges US$5 per aircraft for three years registration. The new laws are scheduled to be implemented from September 1, 2019. Drone operators have until February 25 to make a submission. Click here to find the report and make a submission.